After nearly a century of dominating the film, animation, and theme park game, it’s fair to say that the Walt Disney Company knows a thing or two about entertainment. 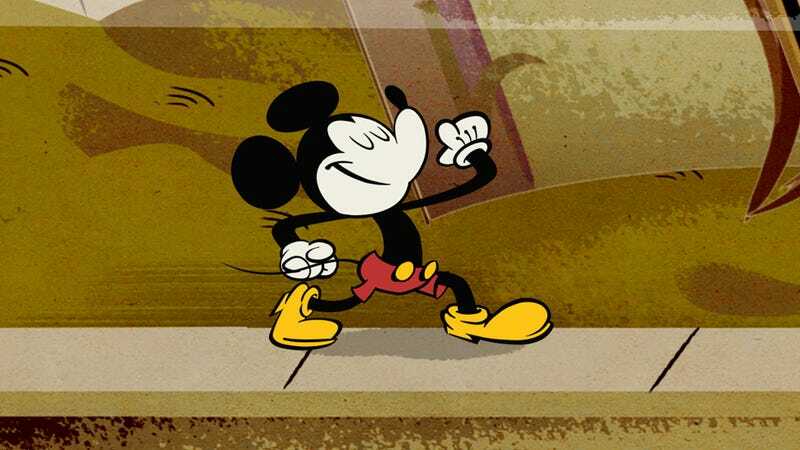 But despite all this, apparently the mass-media conglomerate still can’t quite fully grasp the rhyme and reason behind much of its success: Disney just announced that it’s honestly pretty baffled by the continued popularity of Mickey Mouse. Noting that he looks dumb as hell, has no memorable qualities, and the only notable movie he’s ever starred in was a weird orchestra concert in the ’40s, Disney put out a statement today expressing its profound confusion as to why Mickey Mouse remains so widely adored to this day. The company explained that while it understands why he was popular in the ’30s, when seeing literally any moving drawing was still a great source of amazement, it has absolutely no clue how Mickey managed to become a globally beloved character who has persistently generated hundreds of millions of dollars in merchandise sales year after year since the Great Depression. In the statement, Disney went on to speculate that if people are this head-over-heels for an unremarkable rodent character whose only discernible personality trait is smiling, then it could probably put out a new movie full of half-assed characters like “a pine cone with lips” or “a badger in a ball cap” and it would gross over a billion dollars. Disney also noted that it feels it’s “downright bizarre” how people don’t seem the least bit unsettled by the fact that Mickey’s spouse is essentially just an exact genetic clone of himself but wearing a dress. While Disney made sure to clarify that it appreciates fans’ continued support of Mickey, it conceded that it does think it might be indicative of some sort of grand collective sickness of the human mind. What do YOU think? Does Mickey still deserve the caliber of fame he enjoys? Or are you also baffled by his cultural staying power? Let us know in the comments!